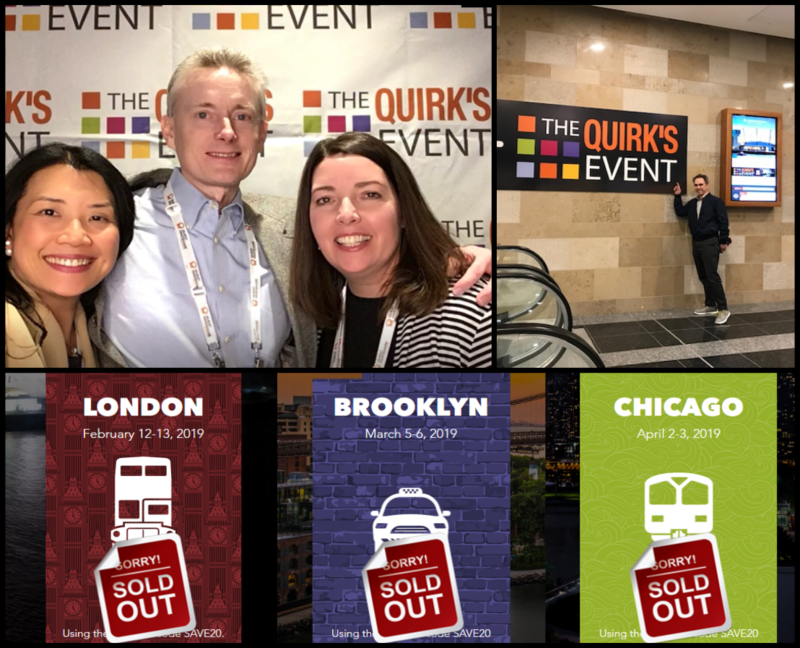 KS&R has had the honor to present at all three sold out 2019 Quirk's events. We started in London with our President Mike Nash (pictured top right) discussing Win Loss cases with IBM's Stephanie Torto. Nearly 100 attended the presentation. Our next stop was in Brooklyn with Jennifer Ho Manion and Melissa Jusianiec (pictured top left). They presented with AT&T's John Voda, discussing New Product Research. Nearly 40 attended the presentation. Our final stop was with Mike Nash and Stephanie Torto discussing Win Loss cases again, this time in the Chicago area. Nearly 50 attended the presentation. What a great experience for our team and KS&R as a whole to be part of such insightful events. Thanks to all who attended! Founded in 1983, KS&R (Knowledge Systems & Research, Inc.) is a full-service, privately held market research firm. KS&R creates and executes global custom market research initiatives for some of the best-known corporations in the world in more than 100 countries and 50 languages. KS&R is headquartered in Syracuse, New York, with offices in metro New York, Memphis, Seattle, and Frankfurt, Germany. LUCK OF THE DRAW � KS&R�S PRIMARY RESEARCH HELPS MEGA MILLIONS BECOME EVEN MORE MEGA!